Win a Sky 3D package and LG 3D TV! | What Hi-Fi? 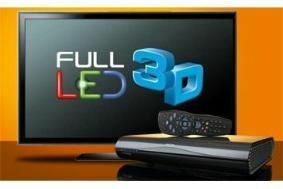 Win a Sky 3D package and LG 3D TV! We've teamed up with Sky to offer one lucky winner a fantastic Sky 3D package. The prize includes a 47in LG 3D TV, a Sky+ HD box, one year's subscription to Sky's top TV package Sky World and the HD pack containing Sky's newly-launched 3D channel. To be in with a chance of winning this amazing set-up just head on over to our dedicated 3D Zone, scroll down the page and click on the 'Win a 3D TV and Sky+HD' button and answer the simple question, fill in your details and submit your entry. Good luck! The competition closes on November 12, 2010. Click here to enter.